Comical sketches about the joys of parenting. I am a former art teacher turned stay at home mom to two boys, a toddler and an infant. I love them dearly and they drive me nuts. Each day with them is an eternity full of special milestones, cuddles, and temper trantrums. 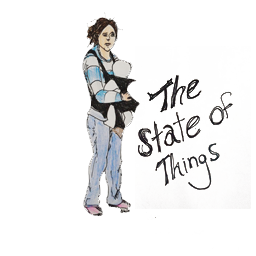 This page contains my sketches about parenting. I began creating them in an attempt to stay sane and keep my brain from atrophying. Keep checking back for new images. I will continue to update regularly until I find a real job and stop all this art nonesense. Enjoy! If you like what you see buy Sketchy Parenting merchandise at MY SHOP. Contact me at Sketchyparenting@gmail.com to request a customized product with any of the sketches you see on my site. You can also check out my kids rooms murals at Kid Spaces by Shoshana .